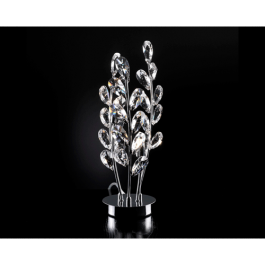 Modern Style table lamp adorned with Asfour Crystal elements. Crystal table lamp. Chrome finish. Table lamps with Swarovski Strass. 24 Karat gold plated. Gold or chrome finish available. Halogen. Table lamps with mirrored Swarovski Crystal. Gold or chrome finish. Halogen lamps. 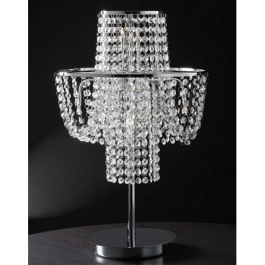 Table lamps with Swarovski Strass. Gold plated. Table lamp with black Swarovski Crystal. Chrome finish. Halogen lamps.